Annihilation - Available as a download or stream? Directed by Alex Garland, the guy behind Ex Machina. With music by Geoff Barrow from Portishead. And stars Natalie Portman. A biologist signs up for a dangerous, secret expedition where the laws of nature don't apply. It's adapted from a trilogy of books, this being the first part. Annihilation's limited run in the US has already be proven to be successful, especially among critics. Since it tested bad according to the studio, especially since it's not appealing to mainstream audiences, the international movie rights were bought by Netflix. 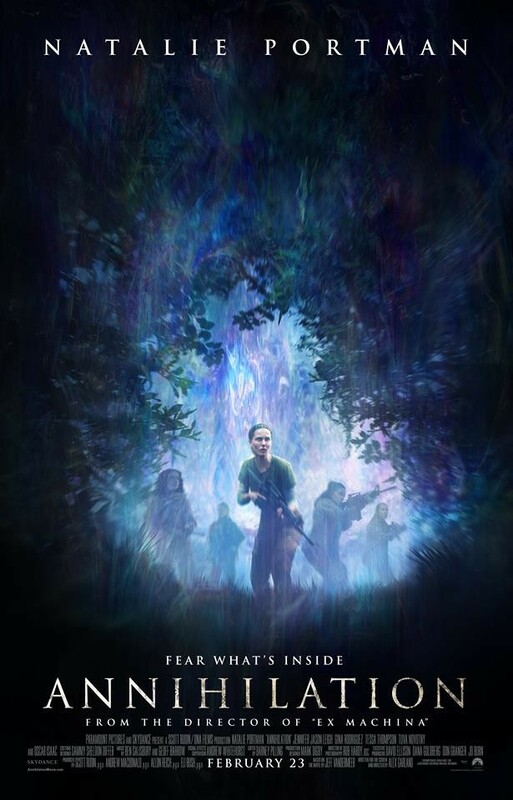 Hence Annihilation is going to be streaming, and obviously be out as a torrent download, on March 12th. The retail BluRay version of the movie. 1080p MKV etc versions are also out there. There we go! Netflix rip! 1080p! Yay! The movie is going to be released as a limited run in the US, mainly because it's “too intellectual” for mainstream audiences according to its producer. Hence it's getting a Netflix release only two weeks after its cinema release. A disappointment according to its director Alex Garland: "Disappointment really. We made the film for cinema.". From a piracy perspective this will make sense as it's not likely going to leak, or be bootleged on torrent sites ahead of its retail Netflix release. It leaked online today. No idea of a source. Although it’s listed on another scene site.